For someone who loves Italy and Italian food, there’s a severe lack of Italian food here on Live Eat Learn. I mean we’ve made risotto and obviously pizza, but I’ve always been a bit anxious to dive into real Italian food. Because I got the feeling that it wouldn’t even come close to replicating the amazing tastes you get when you’re actually in Italy. I guess I thought real Italian food could only be food you eat in Italy, ya know? As it turns out, I was terribly wrong. 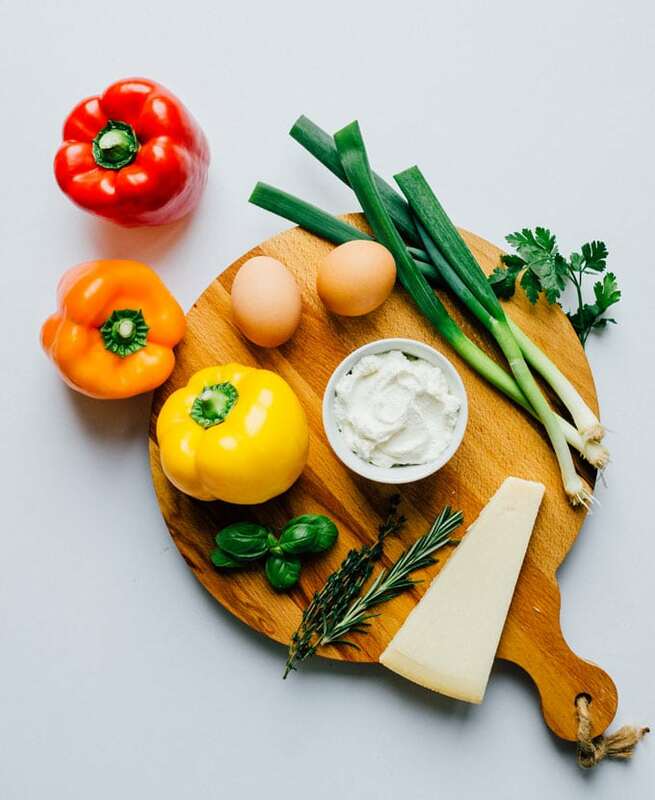 Italian food draws on simple flavors and ingredients, meaning you actually can create some amazing Italian dishes in your kitchen. A revelation I made after flipping through the Tuscan Sun Cookbook. 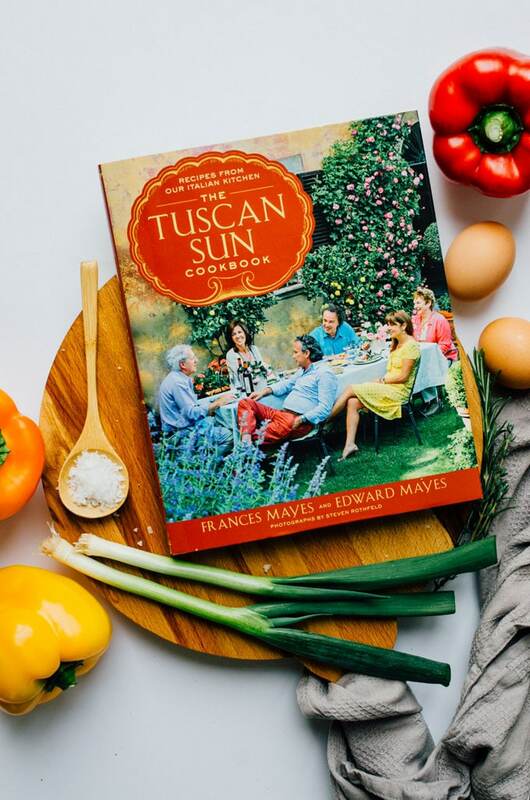 I got this cookbook, written by Frances Mayes (author to the infamous Under the Tuscan Sun), from Soft Surroundings. Soft Surroundings, if you haven’t heard of them, are the place to go for all sorts of everyday luxury products. I’m talking clothes, jewelry, bedding. Basically, they work to make “treat yo self” a way of life. 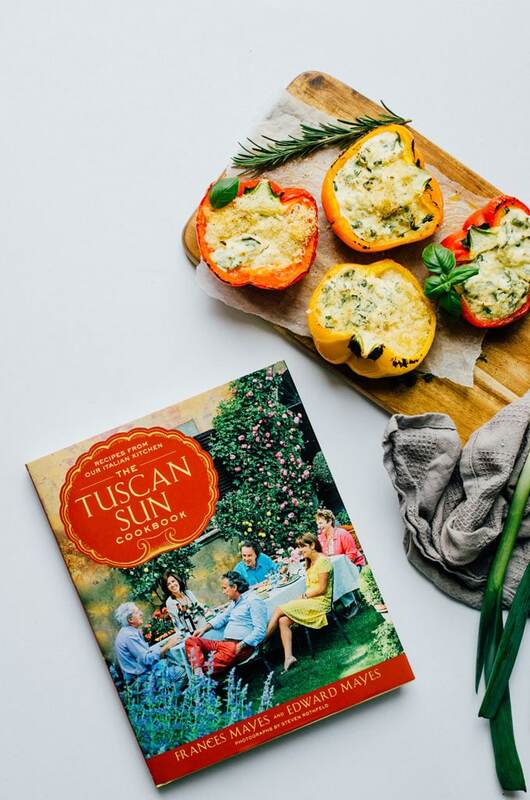 They recently launched a travel section to their website, featuring a place near and dear to my heart (and belly)…Tuscany! Head over to their travel section to check out their spring and summer products (which range from beauty to clothes to cookbooks!) Or browse their store locator to find a shop near you. But these Herby Ricotta Stuffed Peppers stood out to me. They have an herb-packed ingredients list that balances perfectly with fresh grated parmesan and ricotta. You’ll essentially just mix it all together, stuff into peppers, and bake! In half an hour your home will smell like a Tuscan cottage. Sound good? Let’s cook. 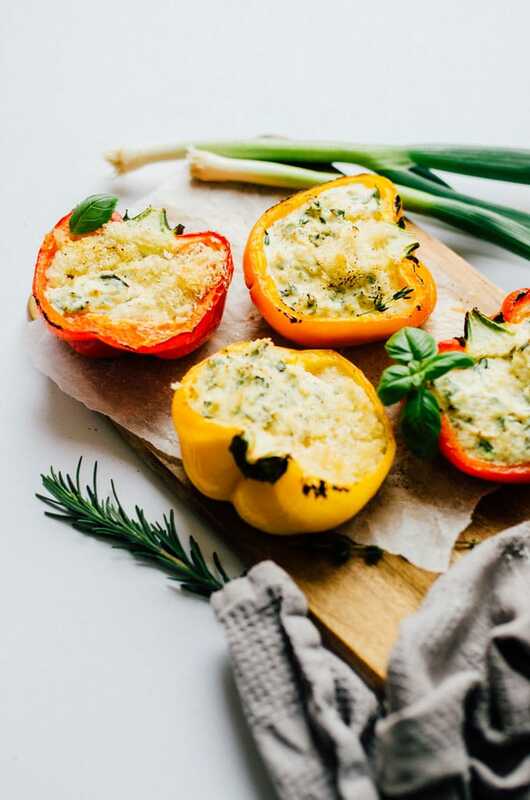 These Herby Ricotta Stuffed Peppers taste straight out of Tuscany with fresh herbs, creamy ricotta, and sharp parmesan. Ready in about 30 minutes (with just 5 minutes of hands-on time), they're a simple side dish that packs a punch of flavor. Char Peppers (optional): For a smokier flavor, quickly char peppers on the grill of open-flame stovetop (if you have access to these; if not, just skip this step). Cool then peel off blackened skin. Prep Peppers: Preheat oven to 350 degrees F (176 C). Cut peppers in half lengthwise, removing seeds and ribs. Brush peppers all over with olive oil. Stuff Peppers: In a medium bowl, combine ricotta, basil, onions, herbs, salt, and pepper. Beat in the eggs and parmesan. Fill peppers with the mixture and top wth fennel flowers and breadcrumb mixture. Bake for 30 minutes, or until ricotta is set and breadcrumbs are golden. Thanks again to Soft Surroundings for sponsoring this post! 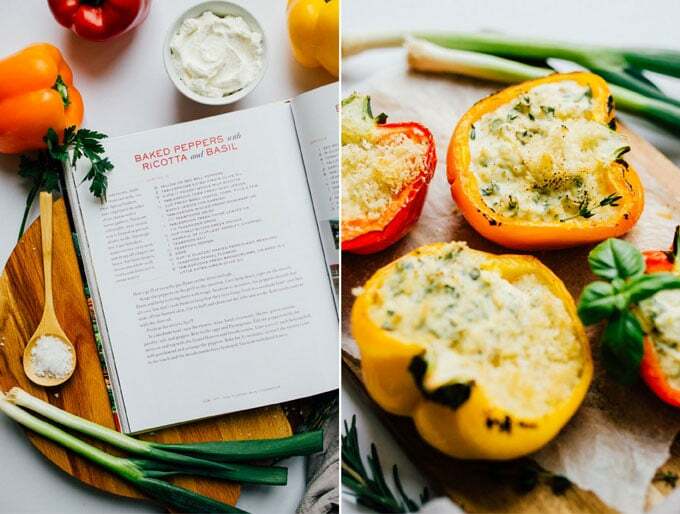 Thanks for supporting Live Eat Learn and for making recipes like these Herby Ricotta Stuffed Peppers possible! 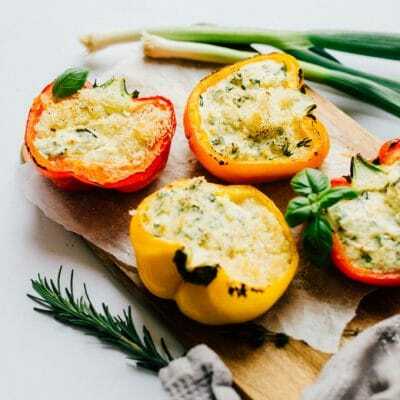 I love stuffed peppers and these look delicious! Love that these are vegetarian! They look delicious and your food photography is amazing! I’ve made Greek stuffed bellpeppers for years with hamburger, tomato, mint, parsley & rice, but these vegetarian options sound delicious. I’ll have to try them. Thanks Stephanie! I never thought to put mint into a dish like this before I made this recipe but it’s perfect! i love the addition of the ricotta! This looks so delicious! These look amazing. Mixing peppers and ricotta is always a winner so they’ve made it to my meal planning for next week! Thank you for sharing. 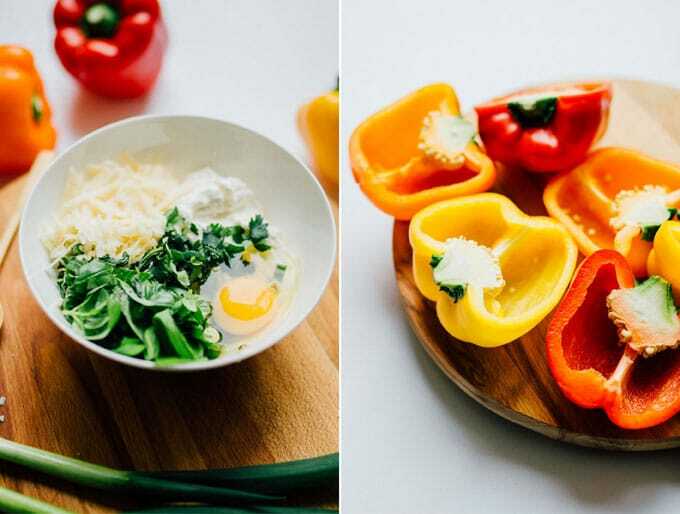 A bell pepper stuffed with cheese?! Yes, please! I know right? The Italians know how to eat! These look amazing! Cheese is the best. YES YES YES!! I have been looking for more meatless meals and this is perfect!! Thank you!! So happy I could help, Leah! Mmm these peppers look so tasty! I can’t wait to try it! These look amazing!! I’m going to have to try this! These look so delicious! Especially since I love anything with ricotta! What gorgeous, colorful photos! And of course those peppers sound amazing! What a fun way to prepare them! I’m definitely trying this!! They look amazing!! Made these last week and they are delicious!